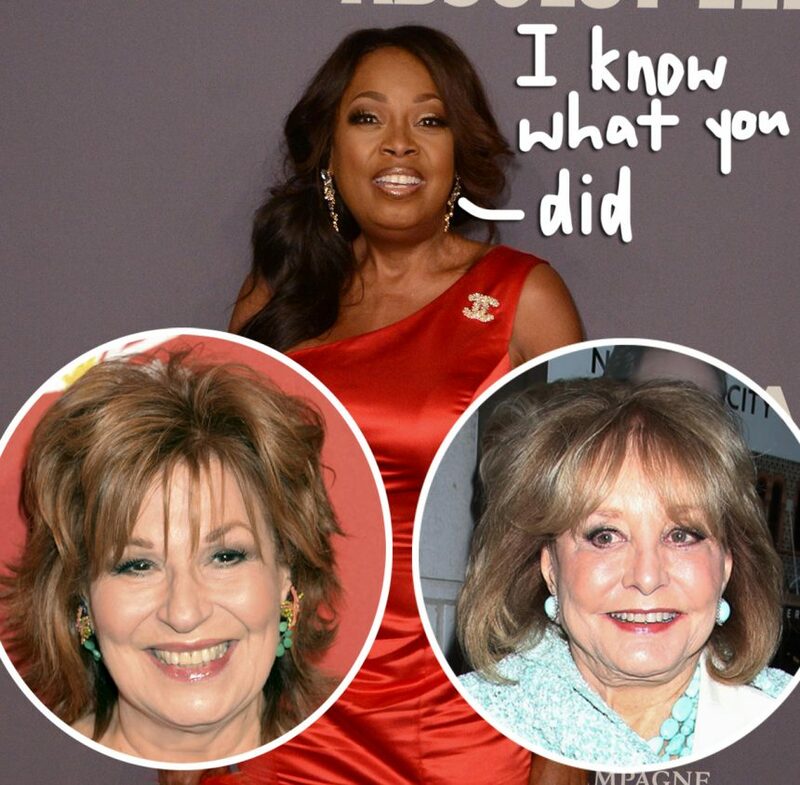 Nearly every previous panelist of The View is airing their dirty laundry in Ramin Setoodeh’s upcoming book, Ladies Who Punch — and you better believe Star Jones is getting in on the action! The former cohost, who was fired from the ABC morning show in 2006, seemingly accused Barbara Walters and Joy Behar of leaking the news of her gastric bypass surgery to the tabloids before she was ready to go public with it in an effort to sabotage her career. At least, that’s what the author took from his interview with Jones, who was an OG cohost when the show first launched in 1997. Related: Barbara Reportedly Threatened To Leave ‘The View’ If Rosie O’Donnell Wasn’t Fired! Dang. If true, that’s no punch… that’s a push down the stairs! But Jones wasn’t about to go down without a push back: the author went on to say that Jones had hired crisis manager Judy Smith — the inspiration for Kerry Washington’s Olivia Pope on Scandal — to orchestrate her surprise exit from the popular talk show. Apparently, Jones’ departure announcement in July 2006 had been scheduled for two days later. But with the help of Smith, the TV personality shocked everyone on the panel when she announced she was leaving on her own terms. Watch a clip of Setoodeh on WWHL (below) to hear more. Despite what sabotage efforts may or may not have occurred, the 57-year-old had nothing but kind things to say about Walters — her “mentor” — in response to the claims she made in the book. Polite shade is the best kind of shade! Ladies Who Punch: The Explosive Inside Story Of “The View” hits shelves on April 2.